Ian Fleming’s Bond novel was published two years after the hotel opened, and the author had the British spy stay at the Okura. When it was turned into a film starring Sean Connery as 007 in 1973, the hotel’s lobby starred as one of the sets. “The original lobby designed by my father was extremely popular,” Yoshio Taniguchi said in a statement issued by the hotel. Japanese ceramicist Kenkichi Tomimoto’s woven silk wall tapestry will be “faithfully reproduced” in the new lobby, as will the shoji paper windows with their Asanoha-mon leaf-pattern latticework. 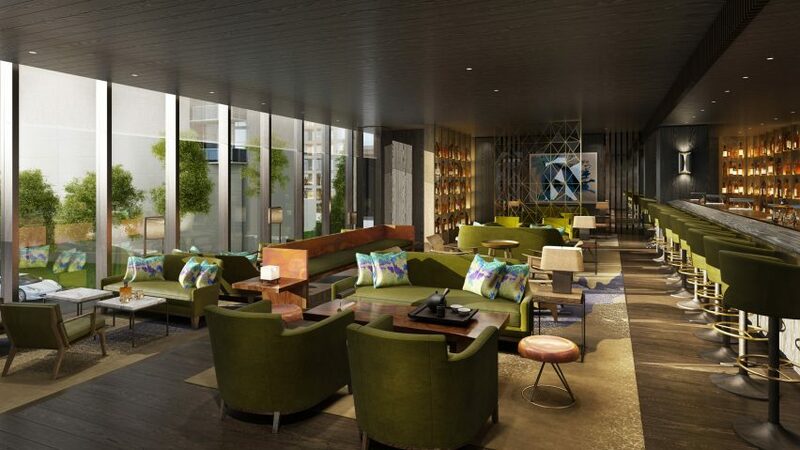 On the fifth floor Yoshio Taniguchi will recreate the atmospherically low-lit Orchid Bar, a former favourite of diplomats from the American Embassy nearby. 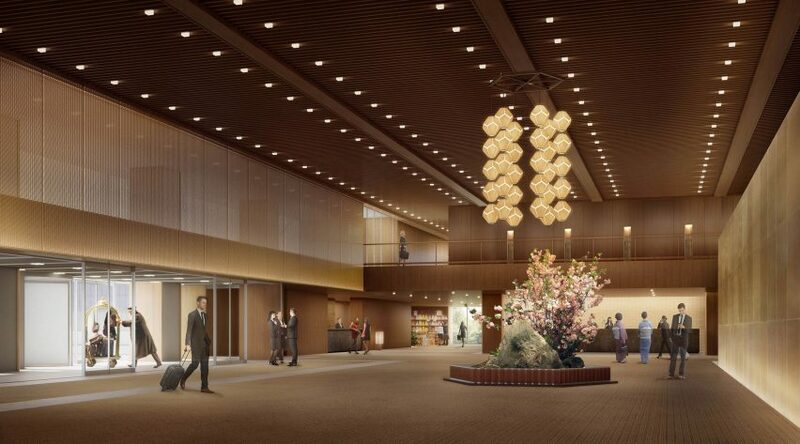 New fine dining restaurants, banquet facilities and what claims to be Tokyo’s largest ballroom will be located here. 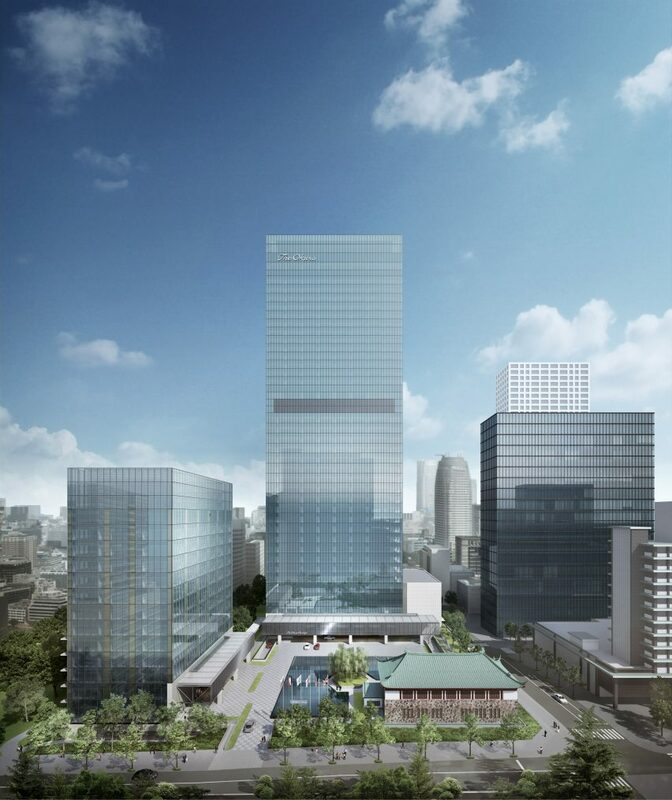 “It was sad to put our much-adored Hotel Okura Tokyo to rest, but I am fully confident that The Okura Tokyo will be equally loved by our worldwide guests and visitors,” said president of the Hotel Okura chain Toshihiro Ogita.